I lived in Portland for six years, and now I live in LA. When I left Portland in 2007 I started to notice that when I told people I'd just left Portland they'd be like, oh man, my sister just moved up there, or oh man, I really want to move up there. I started to meet people who'd moved up there but had to leave cause the job market is bad news. I was terribly homesick for the place, especially as I started to confront the mass delusion that is transportation in Southern California, and dreamed fondly of the days when I could bike and feel safe at the same time. So, because I wanted to live in a place I liked and not just suffer through LA as though it were a distasteful but necessary locale for my work (ahem Hollywood types who imagine New York to be the only real place in the universe), I got involved with bike activist projects and the LA Eco-Village. I've been riding a bike and using public transportation in LA for over three years now. I walk in LA everyday. I go to restaurants that serve organic food, and I hang out with interesting DIY types. In short, I've managed to find the same kinds of things I loved in Portland in LA because there are a lot of people here who also want to have a good quality of life and define "quality" in terms of sustainability, DIY, and enthusiastic commitment instead of ironic detachment. There's this show on TV now called "Portlandia" that I heard about from a few friends who also hold Portland dear to their hearts. I was afraid to watch it, to be perfectly honest, because it raised my hackles to even know Hollywood had decided that Portland is trendy enough to try and make advertising dollars off of it. Le sigh. Anyway, I watched it and what's funny is that they don't even represent the same city I am familiar with. 1. Real Portlanders go to Movie Madness. 2. Gilt is past its prime. 3. Where are the bikes? 4. Who's supposed to watch this show? And these are the best jokes they could come up with? What about street names like Glisan and Couch, folks? Portland, through the eyes of these entertainment industry people, is Seattle; that is, full of gourmet food opportunities and alternative lifestyles, but without the minimalist aesthetic and excellent thrifted outfits. The Pacific Northwest has a regional character that is consistent across the two cities: you want Columbia fleece vests, you got em. You want Subarus and Priuses, feast your eyes. You want locally produced food, you're in the right place. But Portland has a character that I've not yet found in Seattle, which, granted, I'm just getting to know. Fortunately the show misses the point. I'm about to get to know Seattle a whole lot better. My time living in Los Angeles ends in February. 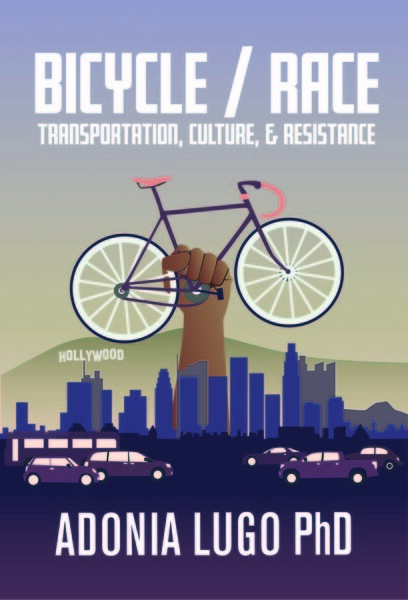 I'm moving to Seattle to start writing my dissertation about bikes, bodies, and public space in LA, so this blog's going to be about the adventures of Urban Adonia in Seattle pretty soon. A very nice friend already alerted me to a blog about public stairs in Seattle, so I'm all set.